Teaching — Eric Doise, Ph.D. In all my courses, my goal is to teach students how to uncover the assumptions that underlie the material we study, whether that be writing style, argumentation, or the medium of the material. With this in mind, I encourage students to always look for the foundations that support what appears to be the most basic foundations. Moreover, I emphasize that learning should not be done simply to earn a grade but in order to share that knowledge with others. My success as a teacher can be seen in my winning one of 20 University of Florida Graduate Student Teaching Awards in 2007, my being selected twice as a teaching mentor by UF's University Writing Program, my being asked by fellow Peace Corps volunteers to lead several sessions on teaching pedagogy, and students and outside observers consistently evaluating my courses highly. While part of my role as a teacher is to impart knowledge and skills my students do not have, I also keep in mind that every students knows something I do not--whether that be about the students' personal lives, a hobby they're greatly invested in, or a topic they researched thoroughly in another class--and treat them accordingly. For this reason, while I often provide a general framework for class discussion with two or three questions, I allow student interest to dictate where the conversation progresses within that framework, or even outside of it. I also have students occasionally lead class and identify the key characteristics of successful texts that should serve as a standard for their work. 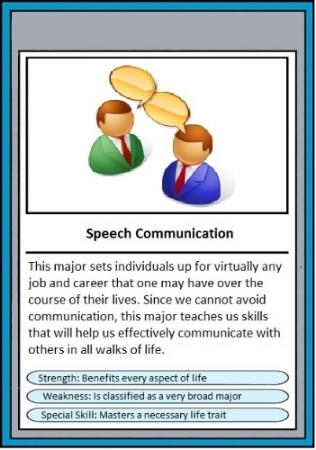 This approach models for students the idea that education is often not hierarchical but heterarchical, which also promotes the understanding of writing as an act of communication directed towards a very real and specific audience that can talk back rather than an attempt to meet the exact demands of one person. I see technology as a tool for further illustrating this idea of writing as having an impact outside of the classroom, particularly as a means of disseminating information. When I taught Oral English in China, students had to identify environmental problems around campus, document them with their camera phones, propose solutions, and present their findings orally and on a poster. My Writing in Professions students at SMSU use photo-editing software to create trading cards inspired by Literary Trading Cards that summarize, to the general audience, the purpose, strengths, and weaknesses of the fields they plan to enter. Both of these activities help students envision how university learning connects to their life outside of school, adapt to the demands of different audiences, and understanding writing as something more than just the traditional essay. In my teaching, whether in physical or online classrooms, I favor collaborative and cooperative learning. Collaboration and cooperation occur between students but also between them and me. While I do contribute my expert knowledge to help guide students, I eschew a top-down classroom for one based more on partnerships because it encourages students to see themselves as developing experts with valuable input. The confidence and authority students gain from this approach is particularly important at SMSU because much of the student body has not yet developed proficiencies in academic work. For example, when I teach basic composition for international students, their rhetorical analyses of assigned readings form the bulk of essay assignment parameters, making their standards the ones that drive the class. In my first-semester composition courses, students finish the semester by forming groups, identifying a problem in the university or larger community, and then producing a researched, multimodal artifact and multi-author essay proposing a solution to that problem. They present these artifacts to the class and at least one community member who is an expert in a related field. In one instance, the university implemented an affordable solution a group found for a campus WiFi dead spot. In reflection essays at the end of this course, students invariably note that the project teaches them how to behave like professionals and empowers them to address the economic, cultural, and political problems in our country and region.